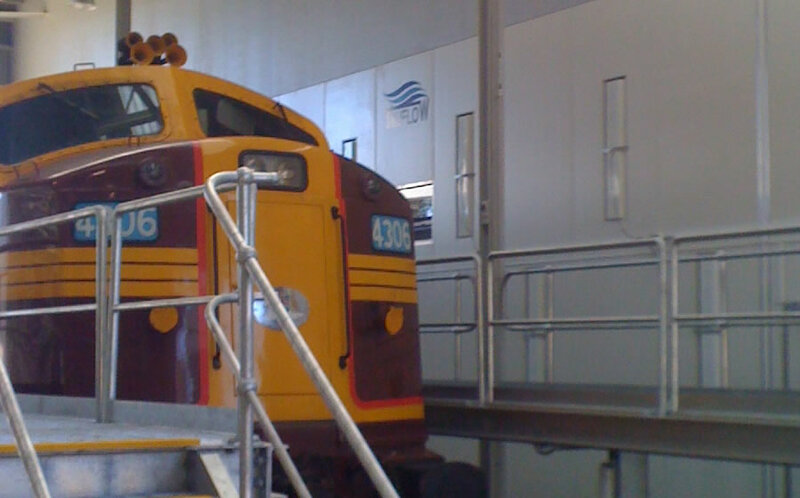 Prep, Repair and Paint in the one area. For quick repairs in minimal time the key is limiting vehicle movement. 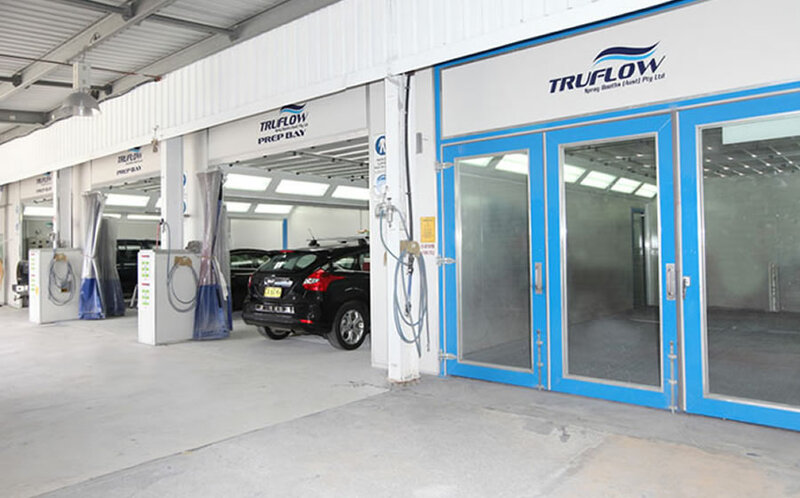 The TRUFLOW Down-Draught Preparation Bay is a combination booth allowing for Sanding, Preping, priming and Painting all the occur in the one area. With down-draught air flow and integrated dust vacuum systems for sanders the operator can direct all of their energy toward the repair. When complete the integrated sliding rail mounted infrared heaters are ready for product curing. Storage Lockers – Everything you need at arms reach. 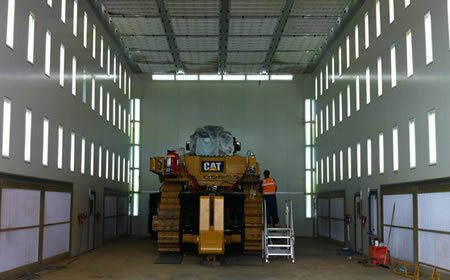 Full Downdraft Preparation Area, Open fronted. 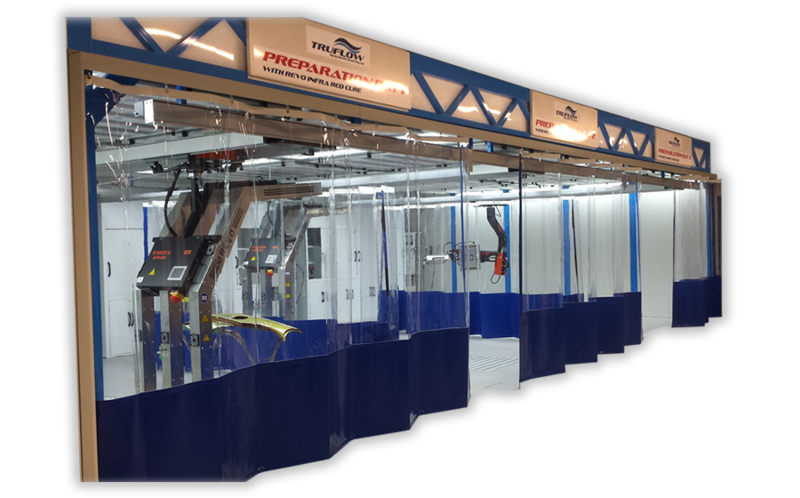 Open fronted preparation bays can be designed to suit a specific space in your factory. Designed to maximize the use of space they are ideal for areas in your shop that may be previously underutilised. 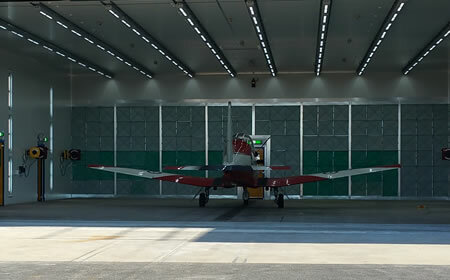 Open fronted Down-Draught Preparation Bays are a combination booth allowing for Sanding, Preping, priming and Painting all the occur in the one area. Watch this video on the Revo Infrared. 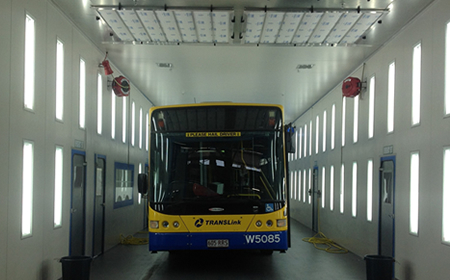 Infrareds Arches or Rapids can be fitted to any preparation bay. The Revo unit is a state of the art European designed arch system. Desiged as a global benchmark and used by paint manufacturers world wide including PGG, Glasurit, Akzo Noble, Sikkes and many more. 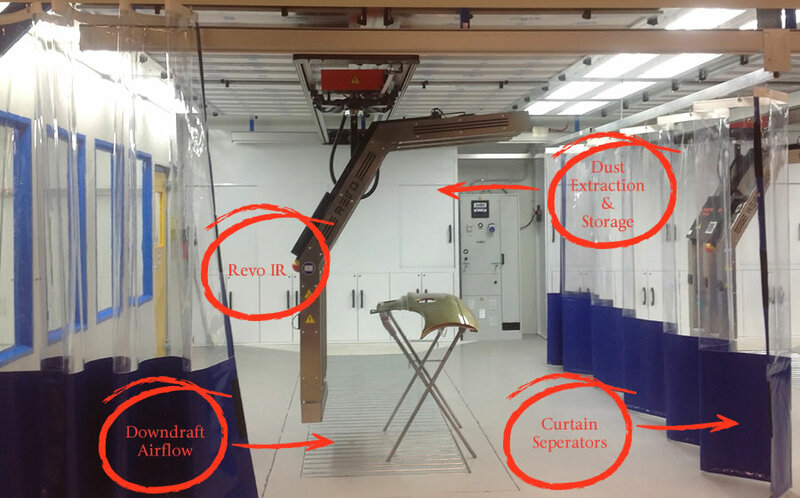 All Revo systems use high short waves quality ruby coated lamps, they are electric infra-reds, this is because it is extremely versatile and has unique advantages in performance, making the equipment ideal for use in today’s modern body shops. IR rays emitted by short wave infra-red lamps can penetrate various paint product layers applied onto the surface, reaching and directly heating the sub strait and lower paint layers.